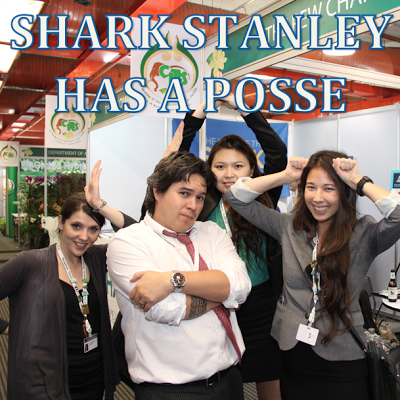 We are busy preparing our communications materials for tomorrow's big shark vote at the Convention on the International Trade in Endangered Species of Wild Fauna and Flora. This will not be one of our memes, but it does feature Shark Stanley co-directors Angelo Villagomez, Onon Bayasgalan, and Leah Meth. This is the team that coordinated 10,000 supporters from 135 countries.